As a teacher, I was able to help kids through struggles on the playground more efficiently. 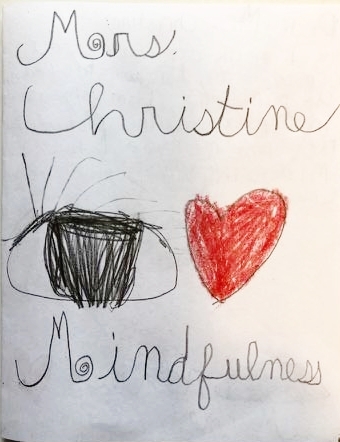 The students really responded to the breathing techniques and compassion and heartfulness practices they had been exposed to. They were able to tap into those experiences and work through conflicts more effectively. I have personally benefitted from the mindfulness curriculum. I believe it has helped to make me a better teacher and overall person. I have seen my son apply simple mindfulness exercises to calm or relax himself when he feels upset or anxious. I can attest that mindfulness has given him a tool to soothe himself. [My daughter] talks to me at home about what she has learned, and uses the education and techniques in daily life to deal with stressful events with sports, friends and school work. I think that teaching younger kids helpful and healthy ways to deal with the stresses that they will face is extremely important.